It’s official! After the proposal last fall, WordCamp for Organizers is happening, and we’re in the beginning stages of planning for this new event. The goal for WordCamp for Organizers is to create an opportunity for meetup and WordCamp organizers to share knowledge and experience with their peers in the community. If you’re new to WordPress community organizing, this conference is for you too! The plan is for this one-day event to be held in December in Nashville, a day or two before WordCamp US. Pretty much every WordCamp and meetup organizer has built up a toolbox of “tricks of the trade” and this conference is all about sharing that institutional knowledge with the wider WordPress organizing community. Does this sound like something you would like to be a part of? @carolstambaugh and I are searching for more organizers to assist with the planning of this new event. 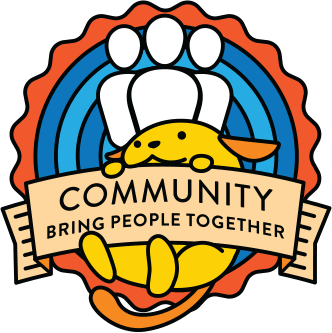 If you are an experienced organizer who has served on at least one WordCamp or WordPress Meetup planning team, and you want to help create a space where fellow organizers can sharpen their skills, then this may be the team for you. As with other WordCamp organizing teams, the time commitment can vary based on your role and the proximity to the event. On average, we anticipate 2 to 3 hours per week of volunteer time to contribute to this new event. Even if you are not interested in serving on the planning committee, there will be future possibilities for involvement including speaking and volunteerism. If you are interested in contributing as an organizer to this new event or know someone who might be, please reply in the comments below. Maybe a silly question, but can someone who’s never organized an event, but has been to A LOT of them, attend? In other words, is the plan to have this be an open registration? Yes, it’ll be open registration. And yes, non-organizers are certainly welcome to attend, especially if you ever plan to try organizing something in the future! This sounds fantastic! I’d love to be involved. Definitely interested in this event. I would love to participate but I think my role on the WCUS organizer team will demand the majority of my hours. If you see an opportunity, I’m in. I intend on attending WCUS. If it is a day on either side of the event I can work it in. This is dope. Let’s do it. Are you accepting also organisers from outside of the US? i will be happy to help!! I’m game. 🙂 Actively co-organizing Toronto’s WordPress meetups since 2011, and a number of WordCamps along the way (2011-2015). Definitely excited! I am currently organizing my first WordCamp (Minneapolis / St. Paul) that will take place in August. I will look forward to more information about attending! I can be a resource for D&I issues, particularly around speakers but also around participants, organizers, etc. I would love to be involved with this project, I am co-organiser for 2 WordPress meetups in Australia, and have in the past and currently organising a WordCamp. The time difference may pose some problems, but I am happy to help in any way and will definitely be attending. This is seriously dope. Would love to get involved since organizers outside the US are accepted! Looking at August (still nice outside but avoids clashing with Chicago or Milwaukee events).Considering several interesting and unique locations for the venue. looking at 2 days or a workshop day and a camp day. Assigning David as their mentor and This survey is not trying to determine what groups need to be protected by the CoC. Notice that the survey also did not ask any questions about race. Count me in! So glad to see this becoming a reality! Hi, I’m part of the WPPerú Team. Any way of help remote for this new WordCamp from here?